The 41-year-old has decided to vacate the role after a poor start to the season with the Bluebirds. Solskjaer has been in the job nine months. OLE GUNNAR SOLSKJAER has parted company with Cardiff City, it has been confirmed this afternoon. 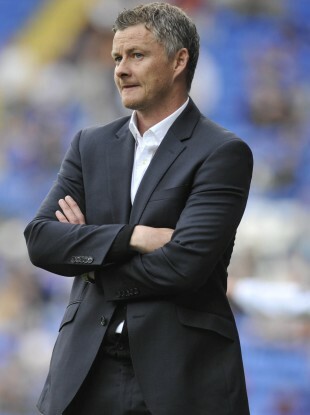 The Norwegian manager took the Bluebirds last January after the departure of Malky Mackay but was unable to keep them in the Premier League and a 20th-place finish saw them relegated to the Championship. This term, they have managed just two wins from their opening seven league fixtures and the club have released a statement to announce that the former Manchester United striker has stepped down. “Ole was hired by Cardiff City on our understanding and belief that he would help us fight relegation from the Barclays Premier League,” said own Vincent Tan. Unfortunately that did not happen. “After the club was relegated many people advised me to let him go, but I decided to keep Ole on for the Championship season. Regrettably our recent results do not justify Ole’s continued role as manager at Cardiff. “Ole has therefore decided to step down and I have accepted this. During my short association with Ole, I have found him to be an honest and hardworking professional, but unfortunately the football results were not in his favour. Solskjaer added: “I want to thank Vincent for giving me the opportunity to manage Cardiff City FC. He has my full respect and I really wish him all the best in his pursuit of making this football club successful. However, our difference in philosophy on how to manage the club made me decide to step aside and allow the club to move forward in the direction Vincent wants. Email “Solskjaer steps down as Cardiff manager after nine months in charge”. Feedback on “Solskjaer steps down as Cardiff manager after nine months in charge”.